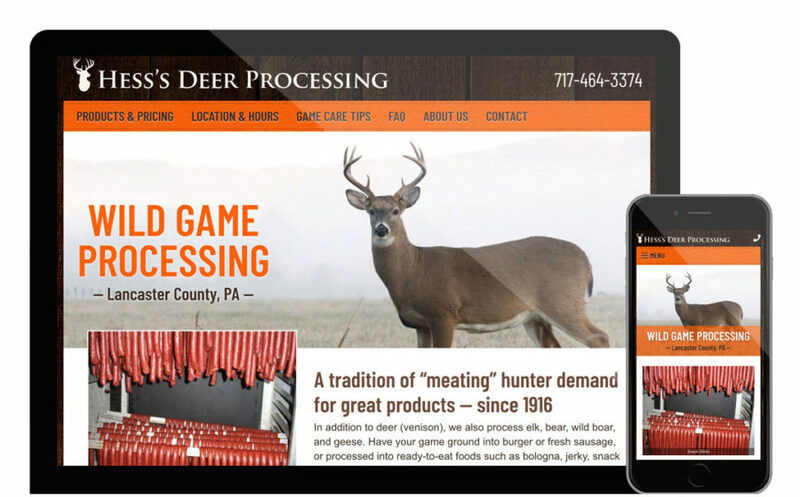 New Website for Hess's Deer Processing - Yoder Design Co.
Hess’s Butcher Shop has been in business for over 100 years. In fact, their sweet bologna is made with the same recipe and wood-fired smoke house that they’ve been using since 1916. The new website is a modern, mobile-friendly site that uses WordPress as the content management system. The Products and Pricing page is created with an easy-to-update pricing table, product descriptions, and downloadable price sheet PDF. The look of the site is made to appeal to hunters, and I created a new logo as part of the project. Photographs on the site will be updated in the near future. Take a look at deerbutchering.com. October 3, 2018 | Posted in: Web Design, WordPress.